Former master student at MedTech West and Chalmers, Fredrik Ring from the department of Electrical Engineering, recently received a national prize for his thesis from 2018. It was Svenska Ingenjörers Förening (Swedish Engineers Association) that awarded Fredrik´s thesis with the title “Deep Learning for Coronary Artery Segmentation in CTA Images- Using fully convolutional neural networks with deep supervision for efficient volume-to-volume segmentation”. In the project, Fredrik was developing a method for segmenting coronary arteries from X-ray data from the SCAPIS project using machine learning. Supervisor was Jennifer Alvén and Professor Fredrik Kahl was the examiner. 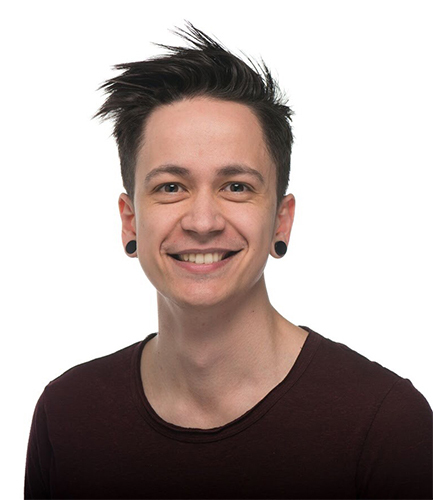 Fredrik Ring is now working as a software developer with machine learning projects at BIT ADDICT in Göteborg. -Receiving this prize was a joyful experience, says Fredrik. Not only was my work highlighted, but I also got to travel to and participate in the MEDICA conference in Düsseldorf, as well as give a lecture about my thesis to the Svenska Ingenjörers Medicintekniska Nätverk (Swedish Engineers Network for Medical Technology).